For over 90 years, Prater has provided reliable particle processing solutions to businesses of all sizes. 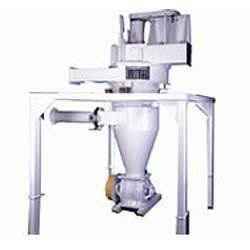 Our extensive array of equipment and systems serve your dry processing, powder and bulk solids applications easily and efficiently. We offer many expertly designed systems and lines of industrial processing equipment to ensure that you receive the best possible results of your process time and time again. Each high-quality product that we develop is intended to serve each industry differently and uniquely to provide the desired outcome of each processing application. Opposing a particle’s aerodynamic drag force with centrifugal force, air classifies create narrower size distribution and finer separations that conventional screeners. All production models utilize an adjustable forced vortex to provide uniform results while adapting to a range of feed variations. 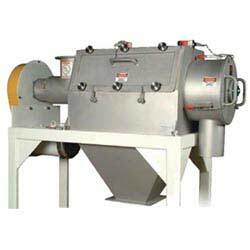 Also includes the “Mini-Split” for laboratory scale or small, batch sized separations. 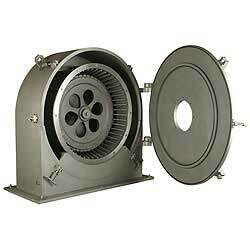 The air classifying mills combines two-staged, closed circuit grinding with internal air classification for ultra-fine micronization. 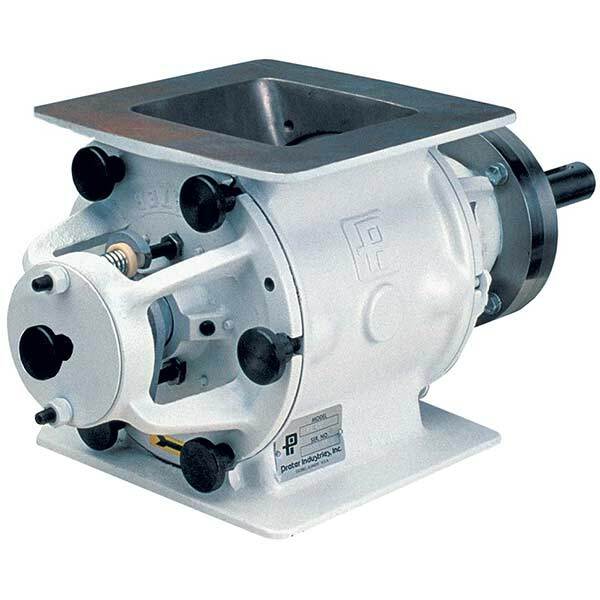 The distinctive capabilities of the Prater Air Classifying Mill outperform single-stage mills when handling products that are difficult to grind or require ultra narrow particle distributions. 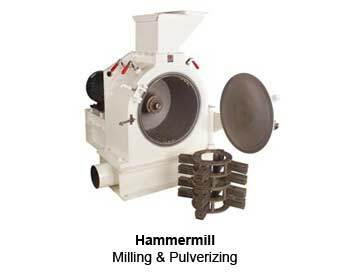 Full Screen Hammer Mill: Widely used for re-work, bakery finishing and other applications that require high capacity grinding to 35-mesh. Mega Mill: Rugged, dust tight design ideally suited for use within a pneumatic system. 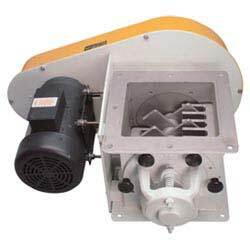 Compact, economical easy to maintain machine that gently pulverizes agglomerated or densified material with lumps up to 8 inches in size. Reduced size material has improved flow characteristics and also benefits downstream blending and drying processes. All of our rotary airlocks come standard with 8-blade rotors and precision, temperature-compensated, machining to minimize air loss under operating conditions. Over-sized inlet throat and rotor pockets ensure maximum displacement for each model size. 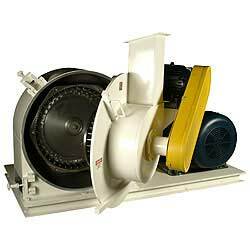 Optional features include air-purged seals, replaceable rotor tips and various wear coatings. High capacity sifting and scalping at rates many times greater than conventional sifters with similar screen area. Unique centrifugal force imparted by adjustable paddles, in combination with flexible mesh fabrics, greatly reduce binding problems when handling materials containing high fats/oils. Three bearing design ensures smooth, vibration-free operation and long life.